and more than 250 other customers. 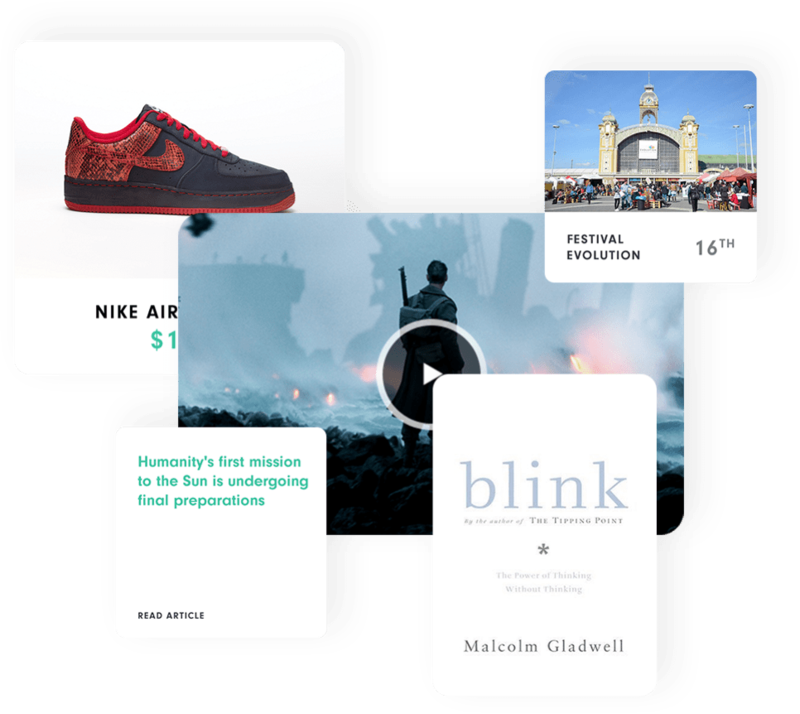 Increase your customer satisfaction and spending with Amazon and Netflix-like AI powered recommendations. Applicable to your home page, product detail, emailing campaigns and much more. Building on our vast experience from multiple domains and site sizes, we write our own algorithms to fit clients from e-commerce, media, job portals, mobile apps and a lot more. 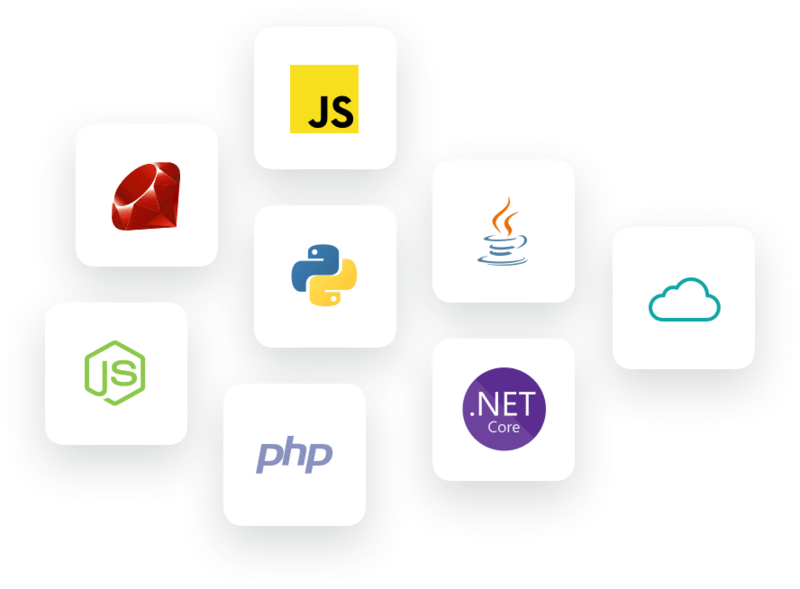 The recommendation engine is provided by RESTful API and SDKs for multiple programming languages. // Get 5 recommended items for user 'user_42'. Recommend only items which haven't expired yet. # Send a view of item 'item_x' by user 'user_42'. Create user and/or item if it doesn't exist yet. # Get 5 recommended items for user 'user_42'. Recommend only items which haven't expired yet. // Send a view of item "item_x" by user "user_42". Create user and/or item if it doesn't exist yet. // Get 5 recommended items for user "user_42". Recommend only items which haven't expired yet. // Send a view of item 'item_x' by user 'user_42'. Create user and/or item if it doesn't exist yet. # Send a view of item 'item_x' by user 'user_id'. Create user and/or item if it doesn't exist yet. # Get 5 recommended items for user 'user_42'. # Recommend only items which haven't expired yet (filter: 'expires' > now()). "Recombee will bring your sales platform to life. It's easy to integrate, customizable and provides timely recommendations. All this combined with a great support team." "Recombee is capable of scaling the service and keeps pace with our rapid growth. Constant innovation and proactive development of new features makes our collaboration smooth and pleasant." "Thanks to Recombee’s recommendation service and Geneea’s NLP, we were able to personalize news and articles for visitors of our major portals (aktualne.cz, volny.cz, atlas.cz), increasing the number of pageviews by 64 percent. We expand recommendations to other scenarios such as video recommendations or personalized galleries." "As a huge e-commerce site with millions of users we were looking for a stable and reliable partner that would back up our robust item catalogue and high traffic. The integration was simple and quick with incredible support assistance from Recombee when we needed it. Recombee, with its impressive real-time product recommendations, provides us with a perfect personalization solution to accomplish our KPIs and improve our customer satisfaction. Recombee solution currently drives an impressive 24% of Konga’s revenues." "Recombee's recommendation solution is incredible. Our e-commerce platform can recommend products with much more intelligence for our customers. The support is also fantastic!" "It has been really difficult to find a solution that could integrate many different data sources and be 100% customizable, but with Recombee we get this. Recombee has fundamentally changed how we are serving recommendations and has really helped us grow. In addition to this, they have great customer support and are always ready to help." "Recombee opened us many new possibilities in recommending relevant events, places, and artists, to our customers. It works great." "Recombee is easy to use, the support is fantastic and costs are affordable. We changed our previous recommendation engine with good improvements without efforts." 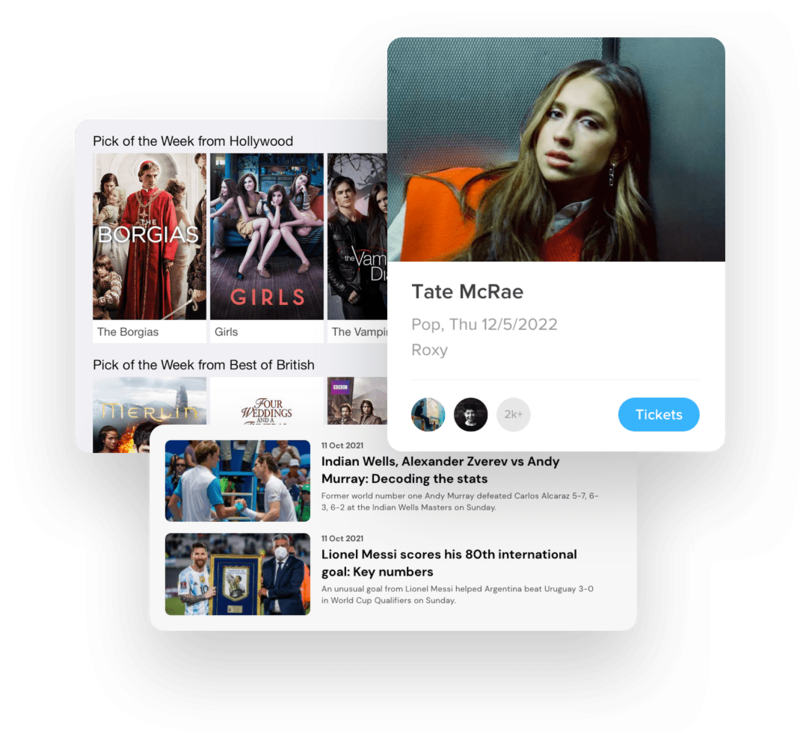 "As a founder of a new age media platform, increasing customer engagement is our number one goal and Recombee helped us in the same with their fantastic recommendation engine. NewsBytes has been working with Recombee for more than 6 months now and we are extremely happy with Recombee’s product." "If you are looking for a flexible, well documented and powerful recommendation engine, Recombee is definitely the best option in the market. Based on our tests, Recombee provided up to 19% lift in recommendation revenue and increased the conversion rate by 12%"
"Surprisingly easy to integrate yet powerful."